Filter also known as: 0302655, 0306188, 0306188, LOWESRAPF-D-4, LOWSRAPRFD4, 0412563, 412563, 1AFH100D. Size: 11.8x13.5x1.4" "
Protect your home and you loved ones from harmful pollutants and smells with GHM HEPA filter and Pre-filters! 100% fresh air and satisfaction or your money back! Click ADD TO CART NOW :We are so certain that our Filters will breath new life to your home that we offer a 90-day no-questions-asked refund policy. This is a generic product designed and engineered by GHM. The IDYLIS brand name or model designation for this product is made solely for purposes of demonstrating compatibility. Activated carbon works via a process called adsorption, whereby pollutant molecules in the fluid to be treated are trapped inside the pore structure of the carbon substrate. To remove contaminants and impurities, using chemical adsorption. 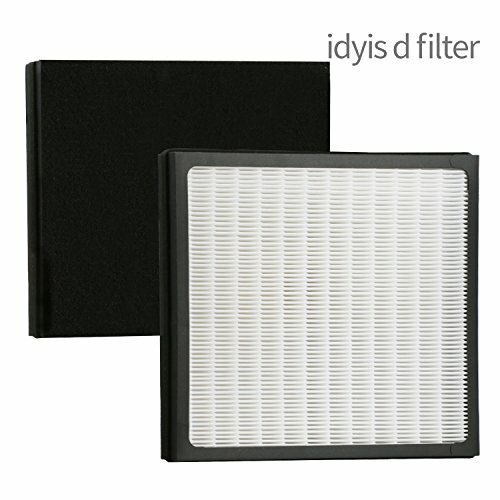 The IAF-H-100D Replacement HEPA Filter fit idyis models: IAP-10-280 (need 1 idylis D&Idylis C filters)(IAP10280) (1AP-10-280) (1AP10280), AC-2118 (AC2118)(need 2 idylis D filters ), AC-2123 (need 1 idylis D filter )(AC2123), 056211, 73989, 560907. Filter also known as: 0302655, 0306188, 0306188, LOWESRAPF-D-4, LOWSRAPRFD4, 0412563, 412563, 1AFH100D. Size: 11.8x13.5x1.4"
Package include 1*HEPA Filter +1*Carbon Filter, 100% satisfaction Guarantee，Please feel free to contact us. If you have any questions about this product by FilledwithLove, contact us by completing and submitting the form below. If you are looking for a specif part number, please include it with your message.